Calabaza is a type of squash that is also spelled “calabasa”. Other names for this squash is auyama, zapallo and West Indian pumpkin. Calabaza has green or yellow skin with a yellow-orange flesh. This interesting veggie can be cooked into stews, baked into cakes, and made into candy. Calabaza has a smooth and somewhat sweet taste. 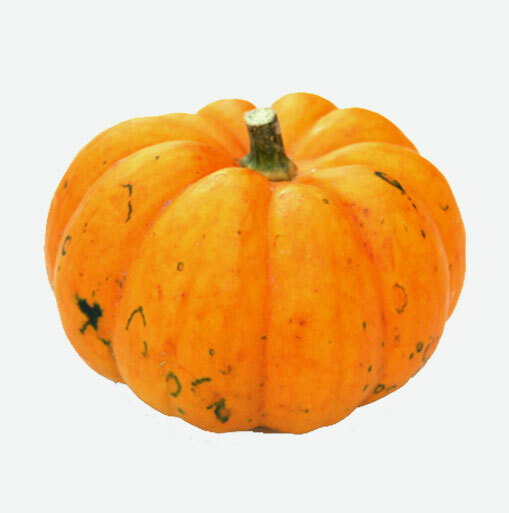 Calabaza is an excellent source of beta-carotene, riboflavin and thiamine. Thiamine, also known as vitamin B1 helps to strengthen the immune system and supports a healthy nervous system. Beta-carotene helps to prevent night blindness and other eye problems. It also helps to protect against colds. Beta-carotene is an antioxidant which helps to protect the body’s cells. Riboflavin helps the body to assimilate iron and protein. It is also necessary for the formation of healthy red blood cells. Whole calabaza may be stored in a cool, dry place for up to 2 weeks. Cut pieces of calabaza should be wrapped tightly and placed in a covered container in the refrigerator for no more than three to four days. Choose calabaza that has an unblemished flesh. Soft or wet spots indicate that the squash is beginning to spoil.